#Toenail #fungus is an infection caused by fungal growth underneath the nail. When tiny fungal organisms take hold, they cause the nail to become thicker and darker in color. You will probably notice a foul odor. This information may be making you squirm a little, but toenail fungus can actually be a serious problem. It spreads very easily to other toenails, and even your fingernails. Resulting thickening of the nails makes it difficult to trim them, and, in the most severe cases, can even impair your ability to walk in shoes without pain. The best way to avoid picking up a fungus is to wear shoes in the locker room or poolside. Areas such as these are perfect damp environments for the growth of fungi, and other people tend to walk barefoot there all the time. If they have toenail fungus and touch the ground with bare feet and then you walk over the same area without shoes on, you are at a high risk of developing their fungal infection. Injuries to the nail bed and excessive perspiration can make you more susceptible to toenail fungus. Having toenail fungus is embarrassing, and most people want to seek immediate treatment. If you notice discoloration, thickening, or deformity in your toenails, it is time to see your podiatrist. When you visit, he or she may collect a sample of the nail to have it cultured in order to determine the cause of the fungus and develop a suitable treatment plan. Treatments vary based on the severity of the infection, can include an oral or topical medication or debridement (removal of the affected nail matter and debris). Laser treatment for toenail fungus is a new development, but the procedures are not covered by insurance and can cost $1,000 for a single treatment. Many podiatrists question its affectivity as compared to traditional methods of fungal treatment since there is no credible clinical evidence to support its effectiveness. 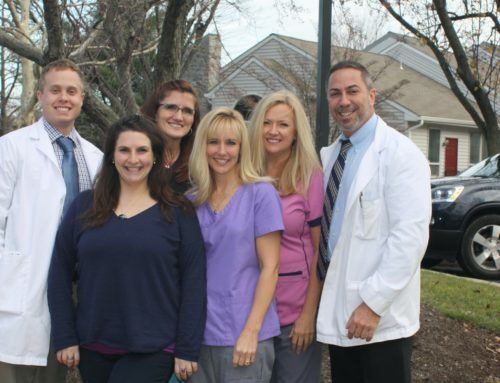 If you have any questions or concerns or would like to make an appointment, call Quality Foot Care, your Doylestown area podiatrist’s office, at 215-230-9707.